This special fountain pen is a 2003 Marlen Academia Matchstick-filler. This is a limited edition number #110/430 in Blue Pearl with a Sterling Silver cap. The mouth of the sterling silver lion’s head on the barrel houses the hole for the match stick which is inserted to fill the pen. 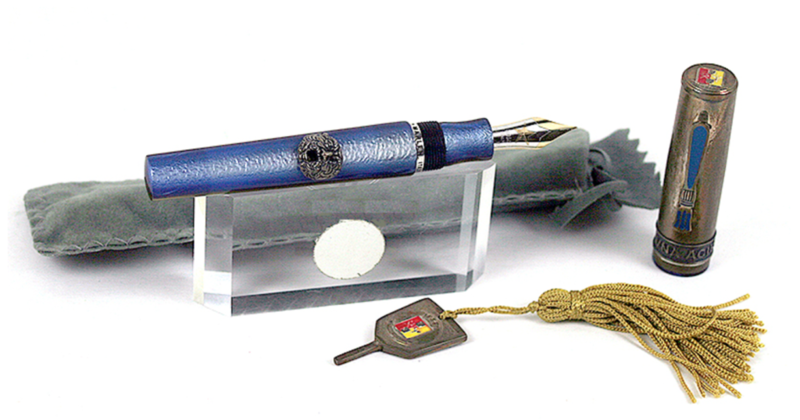 The pen comes with an inlaid enamel crest laden filler key on a yellow tassel. New-old-stock. Mint with felt pouch. List $5040! Visit the Catalog for our price. 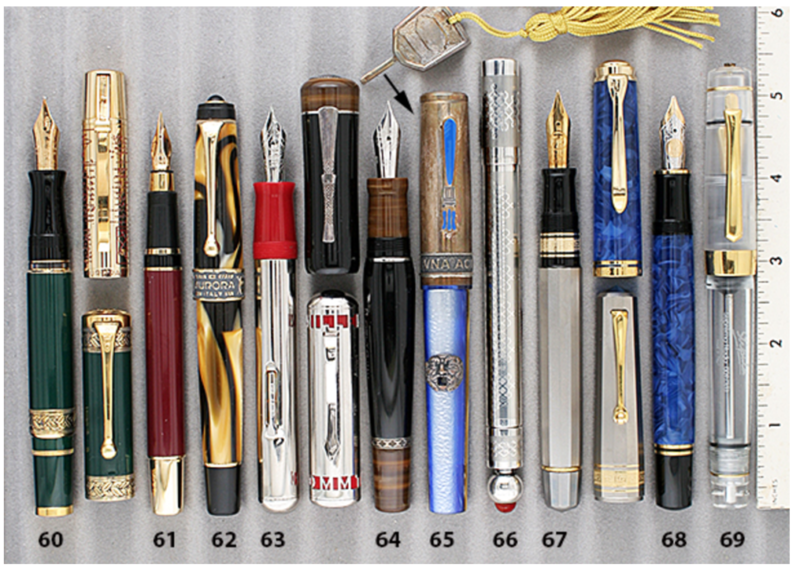 This entry was posted in Modern Pens and tagged Catalog, Catalogs, Extraordinary Pens, Fountain Pens, Go Pens, GoPens, Marlen, Matchstick Filler, Vintage Fountain Pen, Vintage Fountain Pens, Vintage Pen, Vintage Pens. Bookmark the permalink. Follow any comments here with the RSS feed for this post. Post a comment or leave a trackback: Trackback URL.